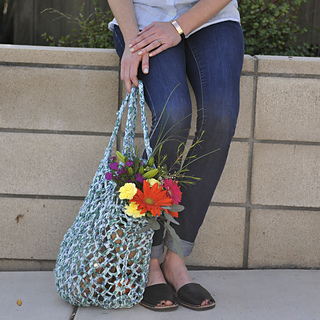 Say hello to your new favorite market bag! 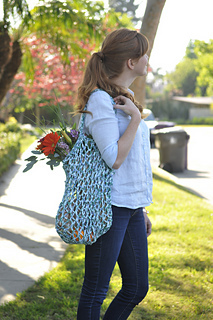 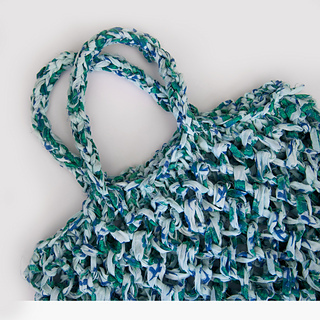 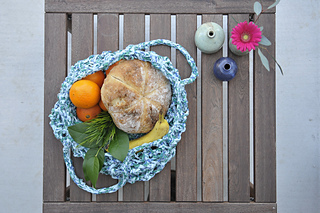 This bag knits up in our Wildflower yarn which is made from strips of block printed cotton fabric from India. 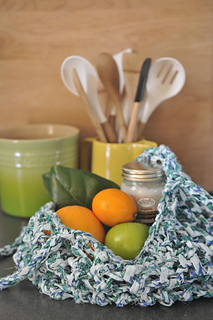 The paisley and flower print on the fabric make this yarn (and your finished project) totally unique! 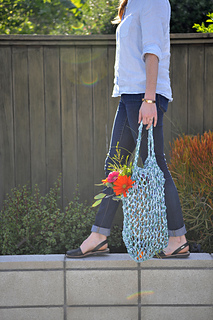 The sample shown here is knit in Wildflower color Gardenia.